A simple way to look at it is to look in the mirror. Why did nature make your nostrils smaller than your mouth? Diagram of the alveolus in the lungs showing gaseous exchange. It’s simple. 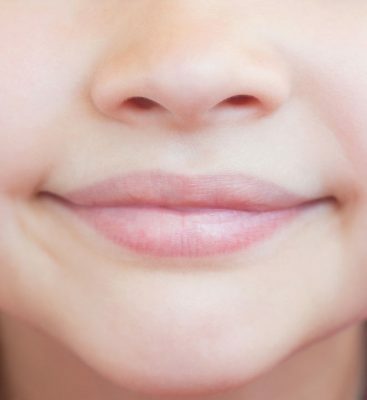 Your nostrils are smaller because airflow resistance is an important part of breathing. That’s why it’s natural to breathe through your nose instead of your mouth. Even though we don’t think about it, bodies naturally regulate airflow resistance to optimize gas transfer. How long we pause between breaths is driven by how often we need to eliminate CO2. Breathing through the nose creates airflow for inhale and exhale like nature intended. We blow out through the lips during exhale during exertion. Both reflexes increase airflow resistance during breath but they have other effects too. Vacuum pulls waste gas out of the blood. Waste gas is mostly carbon dioxide, but includes other gasses and toxins. More resistance creates more vacuum and helps our bodies eliminate waste. Inhalation resistance causes the chest to pull harder which strengthens breathing muscles. This resistance tends to strengthen a users from loss of strength in breathing muscles from long-term sedentary lifestyles. Inhalation resistance adds to the physical work load of exercise. Exhale force pushes oxygen into the blood to attach to hemoglobin and to dissolve in blood plasma. Both are important but the increase in blood plasma oxygen concentration is critical. We instinctively supplement normal exhalation resistance by blowing through the lips to boost back pressure to push more oxygen into the blood. Exhalation resistance adds to the physical work load of exercise. Waste gasses cause breath odor. 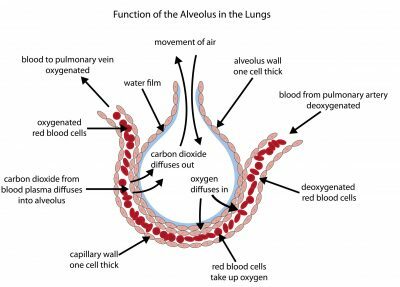 When you inhale the vacuum created in the alveoli pulls these gasses out of the blood. Someone that exercises is less likely to have bad breath. This is because stronger and more frequent vacuum cycle pulls out more waste gas. Exercise circulates much more blood through the lungs with higher vacuum removing more waste gas. Extra inhalation resistance during inhale helps the body pull more waste gasses out of the blood making breathing more effective for waste gas elimination. LiveO2 is a Neutral Pressure ™ breathing system because LiveO2 is intended to work with nature. It took us quite a while to understand the how the mechanics of LiveO2 helped breathing. We were surprised to discover that airflow resistance was important to both oxygen absorption and waste gas release. Exhalation resistance increases physical work during exercise. When we started working with paralyzed clients we realized that the physical the work effect of breathing was important too. People that lack control of large muscles need the work effect of breathing against a resistance. This turned out to be one reason LiveO2 worked so well for disabled users. The LiveO2 Standard Mask has a 3/4 inch diameter inflow port which enables most users to inhale without noticeable airflow resistance at rest. Under load this small diameter port creates a mild additional inhalation resistance. Eventually we came to understand that this mild resistance contributed to the good results even though it added a mild discomfort. Strong breathers didn’t notice airflow resistance and actually like it. Weak breathers dislike it but need it because they are weak breathers and need to get stronger. Our dilemma was that airflow resistance was both a benefit and a nuisance. What should we do? We discovered that any sort of positive pressure in the breathing circuit would reduce benefits of LiveO2. 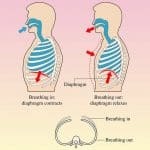 We also chose NOT to implement any sort of positive pressure because that feature contradicts the instinctive science of effective breathing. Positive pressure features suggest the device is intended to assist a user with breathing. We also avoided any sort of positive pressure because the rules and regulations that govern oxygen delivery equipment define any device with positive pressure as a medical device. These devices have the apparent intent of providing breathing assistance to a user, like a CPAP machine. LiveO2 does not cross the line from passive to an active breathing device on purpose. LiveO2 is intended marketed an exercise device not a medical breathing apparatus. It does not provide positive pressure to avoid usage restrictions which would apply to a pressurized breathing apparatus. Additionally there are specific labeling requirements for pressurized oxygen storage. The regulations do not specify how much pressure is required for a device to be considered pressurized. Absent pressure, LiveO2 customers avoid more specific rules and regulations that apply to pressurized oxygen delivery systems.